Behold! I FINALLY finished something! 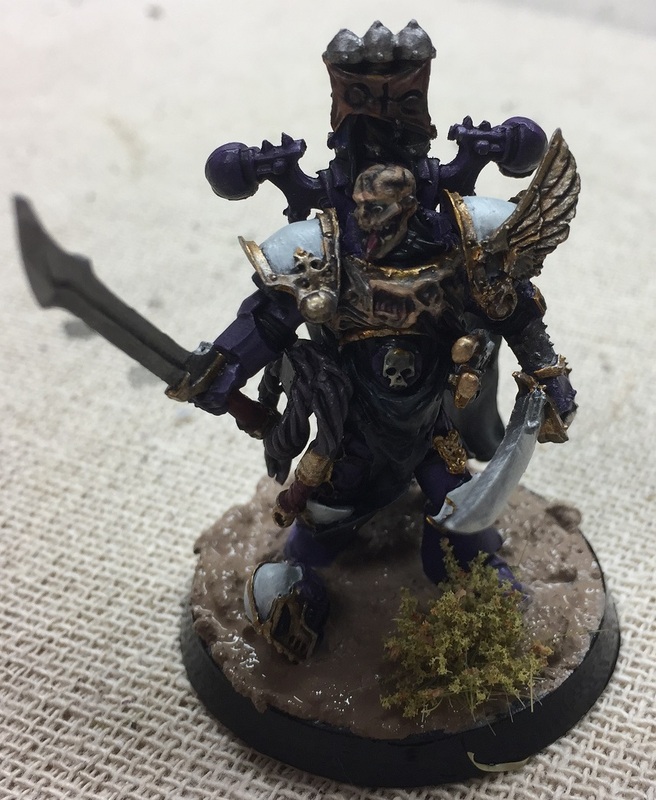 Some time ago...I, Der H, pledged to build, prime and paint to completion my conversion of Lucius "Soulthief", "Fulgrim's Champion", "Blade of Aeons", "Scion of Chemos" or, as he who would become known, "the Eternal"....and so it has come to pass! It’s finally happening, Der H is painting something! Today saw a flourish of progress from both Brother Handro and I - more on Brother Handro’s progress another time! Lucius is more than just purple! An early wash saw me set me off slowly - needing to let washes dry has delayed many a project! Other projects always need some paint too! Not much in the way of WIP pictures - I often think models look much worse before they look better - but here we are with all colours blocked out, just waiting a few more details, highlights, and other finishing bits! Stay tuned for the completion in the next week or so!! I, Der H, kinda/might/maybe/sort-of pledge to complete Lucius "the Eternal"......one model.....ONE! Though for the day: "Reach out to embrace the glories that will come"